No more diving into the data jungle to screen out what you need from a gazillion spreadsheets and files every time you need to prepare a report for your stakeholders. 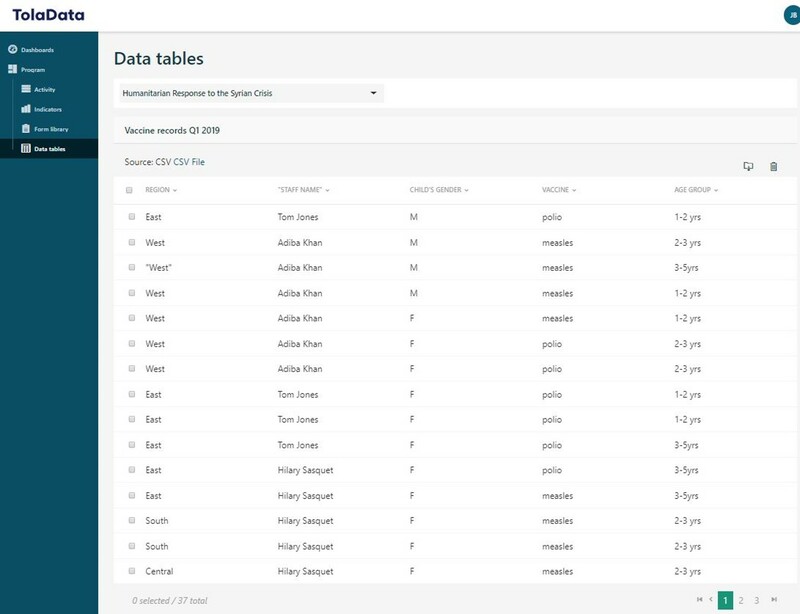 It’s time to replace this archaic practice with a digital solution that stores all your data in one platform for easy access and analysis, and allows you to visualise and share your most up-to-date progress through a configurable dashboard. With the growing demand for transparency and evidence-based results, the old school method of reporting at the very end of the project cycle has become rather inadequate. That’s why we built TolaData! So that you can get a full visibility of your program status and track progress at any stage of your project cycle. 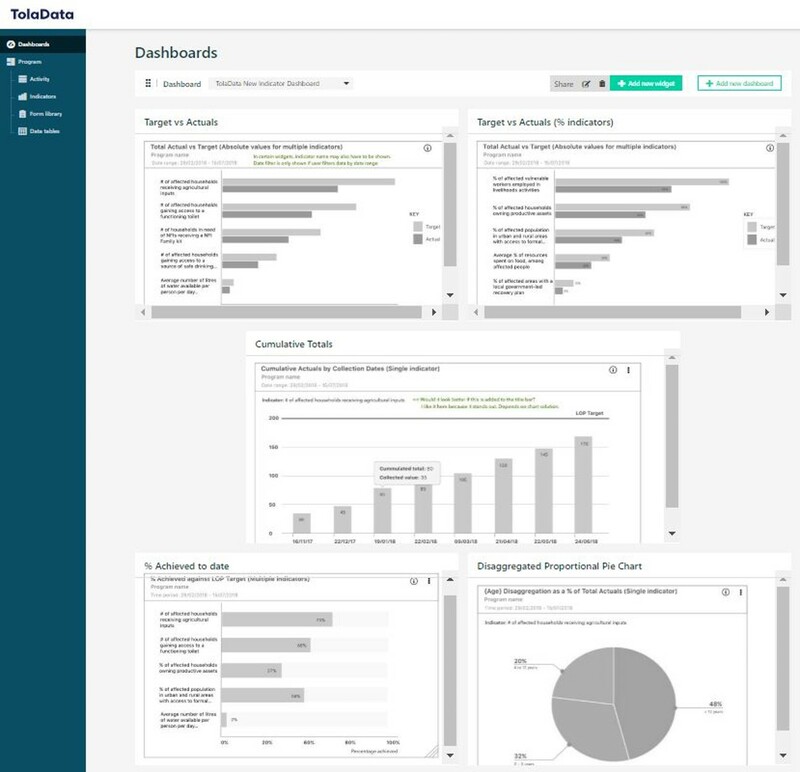 Give stakeholders direct access to your program and open a space for collaboration through visual dashboards. Use eye-catching charts, graphs, narratives, maps and photos to enhance the impact of your project reporting. Stay on top of things as the dashboard updates itself whenever new data comes in and ensure transparency and accountability, at all times. How many times have you had to wait for days or months to receive the latest updates via email? 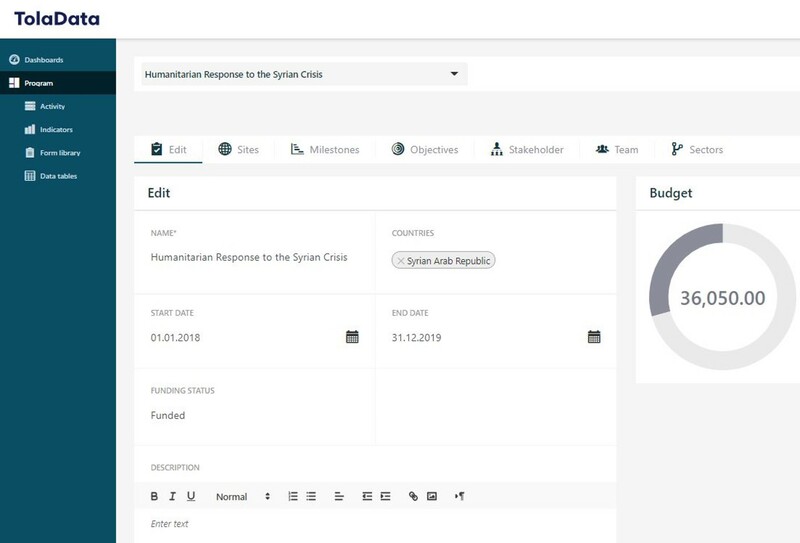 Then comes your challenge of filtering through all that data in various formats and crunch numbers manually to pick information to highlight in your report for your partners and stakeholders. It doesn’t have to be this way. Not when TolaData streamlines the process of pulling together data for reporting in a cleaner and faster way. Do you manually input your collected data into several Excel spreadsheets and aggregate them over many reporting levels to produce a final report? Does this usually happen weeks or months after the data was collected? Not only is this a waste of your valuable time, but you also run the risk of making mistakes from extensive copying, pasting and merging data from tens, or even hundreds of Excel files. We’re digitising our data import precisely so you can avoid the hassle. No need to work for hours to put information together for your stakeholders when it’s time for reporting. Just send them a URL link to your dashboard where they can review your most up-to-date progress with just a click of a button.